Made for players who search for unmatched durability and dynamic strength, Ashaway Zymax 66 Fire Power badminton string provides proper stiffness and repulsion for a long time due to special BETA Polymer structure and multifilament ZyWeave core. Furthermore, ensuring a great feel, elasticity and top-notch performance throughout its life, this 22 (0.66m) gauge string arrives in a handy 200m (660ft) long reel. for submitting product information about Ashaway Zymax 66 Fire Power Badminton String - 200m Reel We aim to answer all questions within 2-3 days. 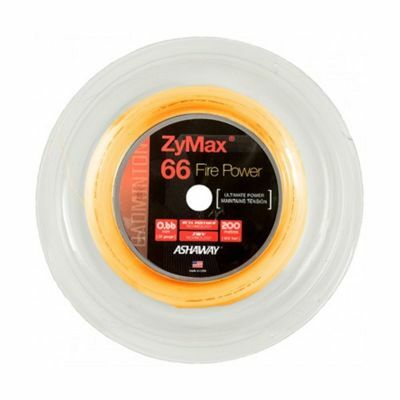 for submitting product information about Ashaway Zymax 66 Fire Power Badminton String - 200m Reel. We aim to answer all questions within 2-3 days. If you provided your name and email address, we will email you as soon as the answer is published. 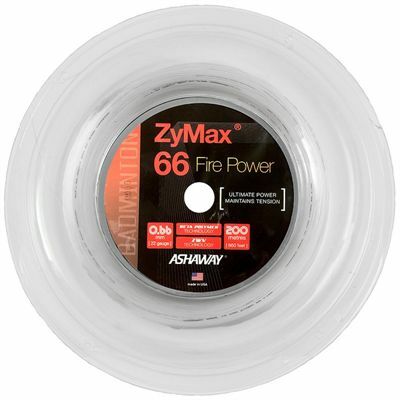 for submitting product review about Ashaway Zymax 66 Fire Power Badminton String - 200m Reel.